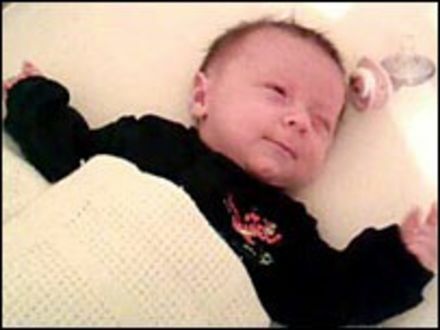 Richard Edy, from Redditch, set up the appeal after his son Charlie's death to support medical research into Sudden Infant Death Syndrome (SIDS). The appeal was sparked after he posted a message on the Gillingham Football Club website, which he moderates. About seven babies die from cot death each week in the UK. Mr Edy said: "It is just so hard to comprehend that something could happen to someone so precious and innocent. "There was absolutely nothing wrong with him. "If someone had said to me 'you haven't done this right' or 'that's the reason he died' then we could have accepted it. "But because they just could not find a reason, it just makes it harder to comprehend. "There's just no rhyme or reason why my beautiful little boy just died suddenly."